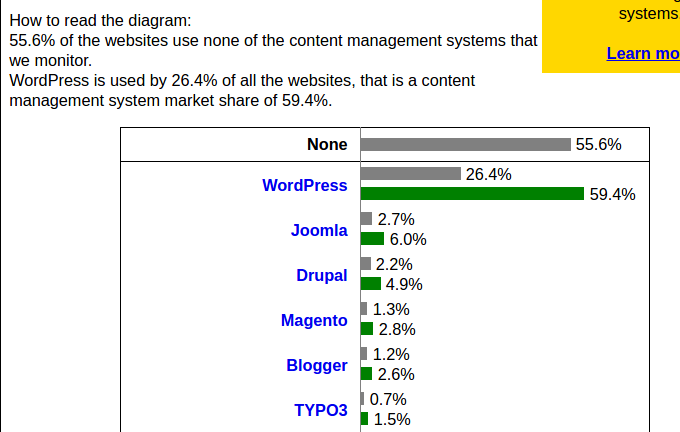 WordPress is the most used content management platform for creating content driven websites. It started as a blog tool, and now it’s a powerful content management system, which is running on nearly 30% of all websites worldwide. It has been around for 13 years and, specifically, as a digital marketer, you can’t ignore it. Even if you are bound to another content management system (CMS) within your company you should pay attention to WordPress, as lots of innovation happens on that platform, and it’s constantly growing. Knowing what WordPress offers and how you can use it for driving your content marketing efforts provides a competitive advantage and faster time to market. In preparation for WordCamp Europe 2016 coming up this June in Vienna, I wanted to take the chance and blog about WordPress. I started using WordPress in 2006, after attending my first BarCamp (in Nuremburg, my first post is still online). I was still working for Microsoft and was using a big corporate self-developed enterprise CMS at the time. After playing around with WordPress, I immediately appreciated the stripped down functionality and the focus on user experience for creating content. So since 2006, I have been a WordPress user, starting first with my personal blog hosted on WordPress.com and later using it for different client projects. In this post, I am going to tell you why, as a digital marketer, you should be fitting in WordPress with your routine and how you can use it as a digital marketer while working on website projects. WordPress has been around for 13 years and has changed how website projects are done since then. As a digital marketer, if you’ve been working in the field for more than 10 years, you may remember the first web projects you were involved in; there was a lot of focus on choosing the right technology, you talked about hosting, security, and the right way to do it, and soon a developer and designer were at the table by the project planning stage. Much of the discussion was around tech and design and not so much about content. This has changed a lot, specifically for content marketing projects. Everything could become very complicated in order to accomplish very simple things back in those days, and budgets for getting the technology into place were high. WordPress has changed all that; it puts ease of use and content creation back into the center of your website project. WordPress is so easy to use, as a digital marketer with an interest in web technology, you can do it all on your own — from install to launch. If you don’t want to go that far, you can use it to prototype your content project and use it for briefing your agency. In A Nutshell, Why Is WordPress Important for Digital Marketers? WordPress is very easy to set up and customize with little to no coding skills. It is open source and can be downloaded for free. Hosting is cheap: Lots of hosting companies support WordPress. In most cases, installing it requires just finishing a click-through wizard. WordPress is used by millions of people worldwide; so lots of companies have decided to focus their business model on fulfilling the needs of WordPress users, for example, by developing plugins, creating customized themes, or professional hosting. From setup to the first content editing can be done within an hour. Prototyping your content marketing project is very easy with WordPress. If a new hip analytics software comes up or a new social network arises or the general design principles for websites change, you can bet that it won’t take long before you are able to adapt your WordPress site to these latest trends. I remember meetings where WordPress was turned down as a potential solution for security reasons, or people were just saying “It’s not made for professional projects” That has changed — even Microsoft uses WordPress for parts of its website, for example, in the Enterprise website. You can check the official WordPress Showcase Page to get an impression of which big brands are using WordPress. WordPress is an SEO friendly CMS. The Yoast SEO plugin is the de facto standard for optimizing WordPress. Publishing your content in WordPress does not mean your content ranks higher automatically, but it is a Google friendly CMS and allows easy creation of category pages for specific topics you want to have ranked high. Making it easy to share content on social media platforms is supported out of the box. Enabling your readers to share content on social media platforms as well as getting analytics inside the WordPress dashboard on how your content performs is easy. Having issues with WordPress? Try the forums at WordPress.org. I have used the support forums quite often, and I was surprised both by the quality and speed with which I received helpful answers. This is especially important for people not having coding skills but who do want to customize WordPress. There are millions of articles and blogs on WordPress to help yourself. Events and meetups in a city near you: WordPress has a user base around the world; so chances are high that there are events happening near you that cover WordPress at least in some part. Android and iOS are covered with mobile apps. Comment moderation, checking statistics, and creating content on the go are easy. WordPress integrates into your existing workflow. Depending on other tools you use to manage your content marketing, chances are high that WordPress is easy to integrate. For example, connecting it to Slack is easy; do you need to ping your marketing department as soon as new posts get published? No problem! Migrating from a different CMS, such as Joomla, Drupal, Typo3, Tumblr, etc., to WordPress is easy. There are well-documented guides on how to get your content to WordPress. Moving your WordPress installation from one hosting company to another or from hosted to self-hosted is very easy. 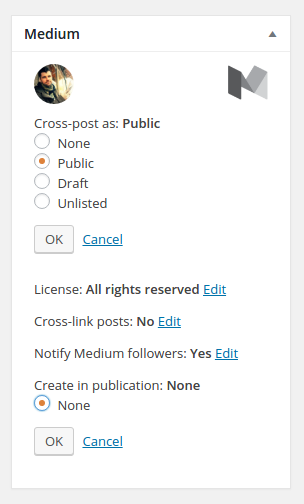 Adding a content calendar and features for managing the editorial process in WordPress (e.g., with Edit Flow). Note that, for most plugins, there is a free version available, and for advanced features or support, you have to buy a premium version of the plugin. It’s the classic freemium model. Plugins can slow down your site. Only activate plugins that you are really using and constantly watch performance (with Pingdom for example). Startups and tech companies can’t ignore WordPress if they offer a service digital marketers should use. If new trends in content creation emerge, you can bet that WordPress is one of the first platforms to be supported. Take Google’s accelerated mobile pages (AMP) project: After the release of Google’s framework to render content inside search results (with better performance on mobile clients in mind) a plugin was available for customization of your WordPress page to also render your content in Google’s new mobile framework. Facebook Instant Articles: Soon after announcing the tech from Facebook, a plugin was available supporting your goal of publishing content directly to your Facebook page. Medium: Getting your new posts up on your medium profile is also very easy to set up. Hotjar is a great tool for collecting user feedback and analytics: Soon after release, a WordPress plugin was available, making it easy to add the corresponding code to your site to enable its functionality on your site. Even if the first versions of new plugins might not be the best quality and might need frequent updates, it shows that plugin developers are already eager to help you out, and you will be supported very quickly. Also, imagine some of those tech trends not taking off or platforms disappearing; instead of having wasted your budget on custom software development for your site, you can just deactivate the plugin. One of the mega advantages of WordPress is the vast amount of themes available. Nevertheless, don’t fall into the trap of choosing the first theme you like. Check when the theme was last updated, how many downloads it has, and what users say about it. Focus especially on support. Is support offered? If so, what type of support do you get with a specific theme? Test the preview page heavily from your mobile phone. It’s 2016 and you won’t buy a theme that will not work great from a mobile phone (responsiveness aka mobile first). 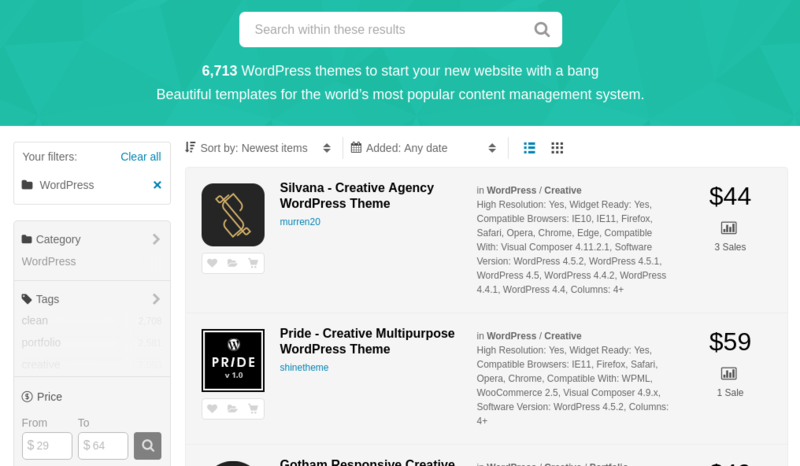 If you develop a fully customized theme for your project, you can still browse the WordPress Theme Directory or themeforest to get a feel for what is available and get inspired before writing your agency brief. Instead of calling up a web agency or a developer to talk about the project, create a basic version of your site structure and a content piece on your own. Browse the WordPress themes on WordPress.org and Themeforest.net, and create a list of three themes you think would be a good fit for the project. Have you already worked with WordPress? Decide whether you want to self-host the project or just use the free version on WordPress.com. Check the differences between self-hosted and hosted in this Infographic on WPBeginner. If you want to go the route of self-hosting WordPress and are new to the topic, decide whether you want to learn it on your own or call up your favorite buddy to help you with it. The big hosting companies offer a click wizard to get WordPress installed, so if you choose the right hosting company, you do not have to write a single line of code to get started. Even if you are not going to implement the project by yourself, playing around with WordPress is a great way to find out how long specific things could take and gives you armor for negotiating with your designer/developer, especially when discussing hours and budget. What is WordPress? What is Automattic? 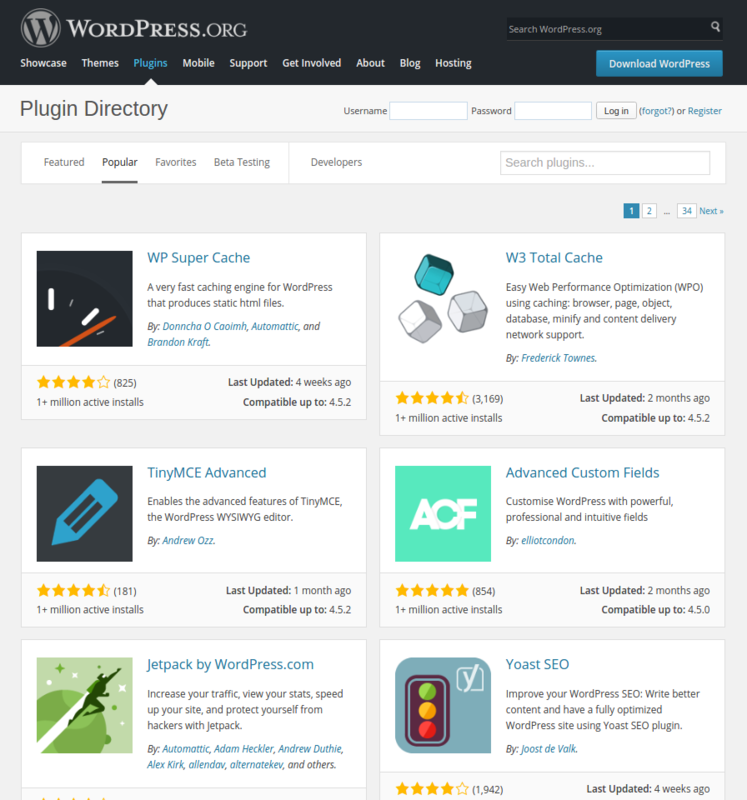 As soon as you start playing around with WordPress, you will discover the name Automattic and may wonder what that is. WordPress is the open source CMS everyone can download, while Automattic is the company behind WordPress, owning the hosted service WordPress.com and also providing “VIP” services for big customers. Automattic is a big player on the web, owning lots of important services around core open source software (like WooCommerce, Gravatar, and Akismet) and also is a contributor to lots of open source projects. Automattic is also driving content projects like Longreads. Are Websites on Planet Earth Only Running on WordPress? Ghost: “A publishing platform for professional bloggers.” Available for download to install on your own web host or as a paid hosting option. Website builder tools that do not support self-hosting, like WIX or Squarespace. File-based CMS like Kirby or Hugo. There are thousands of CMS solutions. Some developers have managed to successfully launch a kickstarter campaign, like that for Typed. Digital marketing managers who know WordPress have a competitive advantage over their peers. Having the skills to play around with WordPress also gives you the opportunity to play around with the latest tech, as successful services also have to support the largest platform on the web. It allows you to quickly prototype projects, get a feel for how long things can take to implement, and better manage digital projects. If you have questions on WordPress from a content marketing perspective or need help to plan your project, website, or blog, I am here to help (via Skype or on-site consulting). And, of course, let me know if you are at WordCamp Europe — let’s have coffee.